John Q. Hammons Hotels & Resorts announced that the company was recently honored with Marriott International, Inc.’s 2016 Spirit to Serve Award during the MINA and Full Service Owners Conference. The world’s largest hotel company recognized JQH’sserving in the community, which aligns with Marriott’s initiatives of: employee volunteerism, in-kind and cash donations, non-profit organizations supported, and community activities and partnerships. Springfield, Missouri-based JQH is a leading private, independent owner and manager of hotels in the United States, including operating more than 1 million square feet of superb meeting space. Marriott noted JQH’s efforts to make a significant impact on the lives of children and families in the United States and abroad through their national philanthropic partnership with Convoy of Hope, an international relief organization. Through JQH’s Legacy of Giving cause with Convoy of Hope, an average of 562 children per month have been fed and supported since the partnership began in August of 2015. 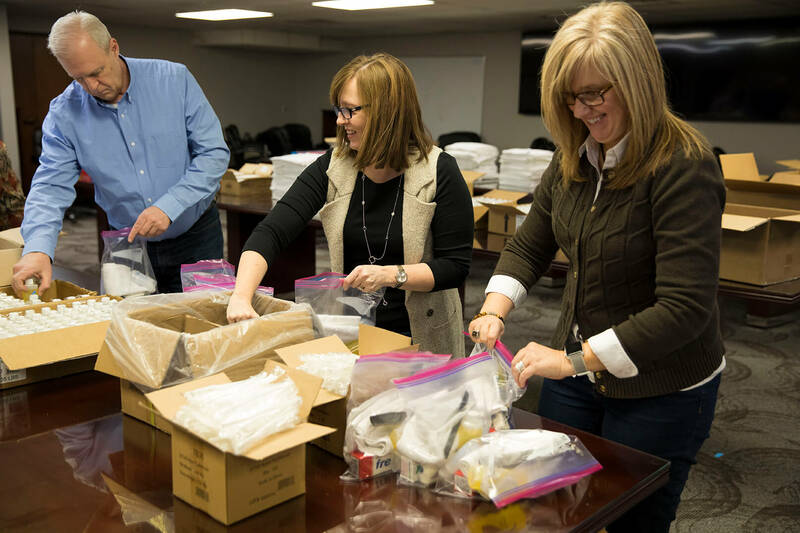 In addition, since August of 2015, enough funding has been provided to Convoy of Hope to deliver more than $1,000,000 worth of goods and services, including groceries, health screenings, hot meals and career service training, to children and families in need through COH community events. Marriott also commended JQH for the company’s successful participation in Project SEARCH, a nine-month school-to-work program for students with significant intellectual and developmental disabilities. Participating JQH hotels assisted more than 100 high school students in the Project SEARCH program with acquiring competitive, marketable and transferrable skills to enable them to apply for their desired field of employment. Marriott International recognized JQH with the Spirit to Preserve Award in 2015 and 2013 for continuing to show support and focus on sustainability practices.